Jayson Tatum, Tim Hardaway Jr. and Kyrie Irving. 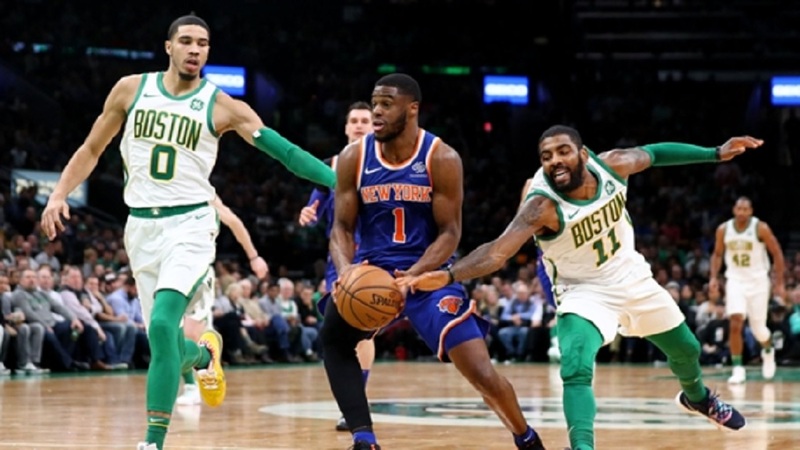 The Boston Celtics are back to having fun again after their fourth win in a row, a 128-100 victory over the New York Knicks in the NBA on Thursday. Kyrie Irving scored a team-high 22 points and spoke after the game about the reason for Boston's recent success. "I think the important thing to take [off] our shoulders early on was just how much of the fun we weren't having. It just wasn't fun," Irving said, via MassLive.com. 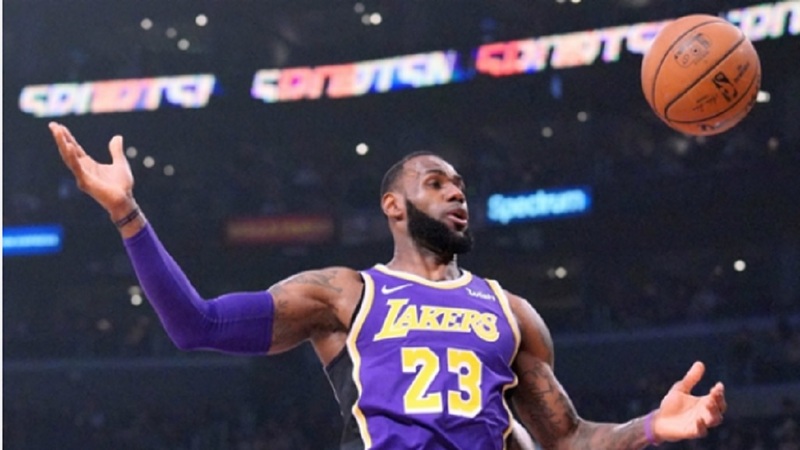 "I know certain guys would probably be fearful to talk about it, but it goes on in every NBA locker room." Boston have won five of their last six games and matched a season-high by moving to four games over .500 at 14-10. 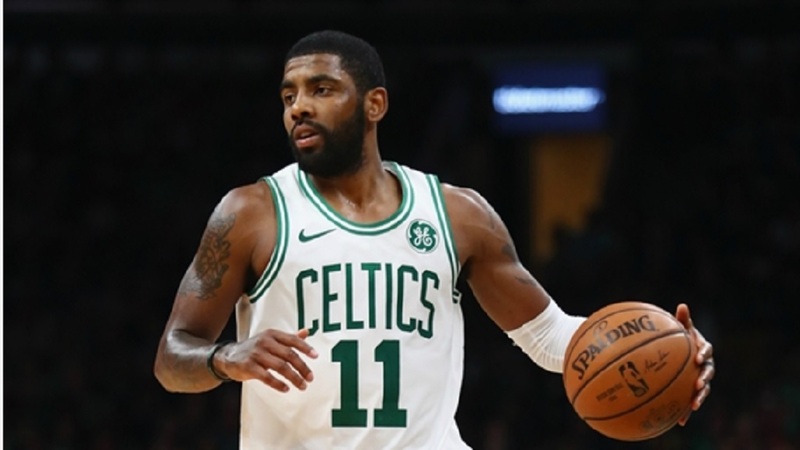 Irving said the Celtics have heard the criticism about the team's slow start from around the NBA. "I still remember certain players on other teams asking us what was going on with us when we were 10-10," Irving said. 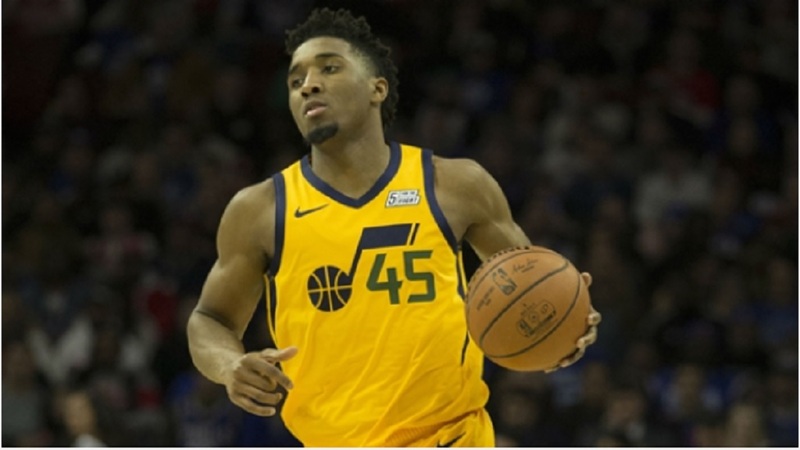 The Celtics have victories over the Minnesota Timberwolves and New Orleans Pelicans during their winning streak and have a chance to really go on a run with three of their next four games against teams at the bottom of the Eastern Conference. So over the next few games, Boston have a lot of chances to have more fun, which is exactly what Irving wants his team to do. Celtics wing Jaylen Brown made his first appearance of the year off the bench and promptly scored 21 points on seven-of-10 shooting. Suns guard Jamal Crawford went 0-of-seven shooting, 0 for three from three-point range and the team were minus-25 with him on the court in a 108-86 loss to the Trail Blazers. The Bucks (16-7) demolished the Warriors (17-9) the last time these two teams played. Stephen Curry got hurt in that game, which set off a chain reaction putting the Warriors into the roughest stretch of Steve Kerr's coaching career (by his own admission). But Curry is back from injury and looking like an MVP again. However, so is Giannis Antetokounmpo.